Type 7000 Precision Air Pressure Regulator is available in 1/4", 1/2" or 3/4" NPT porting. 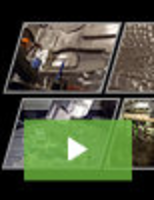 Utilizes an isolated control chamber to minimize output variation and vibration/honking during flow conditions. 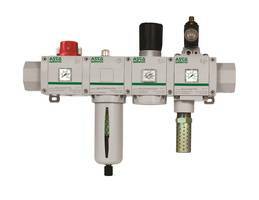 Flow capacity up to 250 scfm (7,075 Nl/min) depending on port size and supply pressure. Features a tamper-proof design and can control nitrogen, argon and other inert gases. Devices are lead-free and made of stainless steel and Grivory. Provides protection for medical applications and can be used in any application that requires sustained control of oxygen. Stainless Steel Pressure Regulators offer a flow capacity volumes up to 500 SCFM. ControlAir’s Stainless Steel Pressure Regulators are available in Type-350, 360, 380 and 390 models. Used for regulating air, inert gas, sweet and sour gasses, units are operated on supply pressure up to 290 PSI. Regulators are available with low temperature, auto-drain and different output range options. 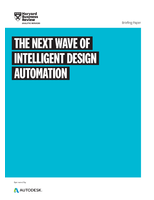 Type 350, 360 and 370 units meet NACE standards. 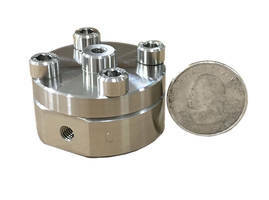 Equilibar releases miniature back pressure regulator. Small, low volume BPR is designed for catalytic research, multiple reactor systems, and gas chromatography. Unit is available in 1/16" size ports with maximum flow coefficient (Cv) of 0.01 and a diameter less than 40 mm. 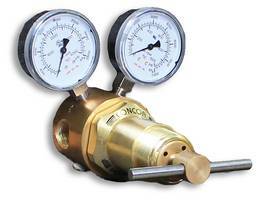 Back Pressure Regulator performs across wide range of flow rates. 617 Series Sentronic Pressure Regulators feature lightweight design. EMA Series Compact Ejector operates in temperature ranges of 10 to 60 degrees C.
Three-Stage Pressure Regulator has ultra-miniature design. 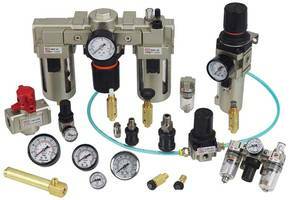 Pressure Regulators suit low-pressure gas systems. 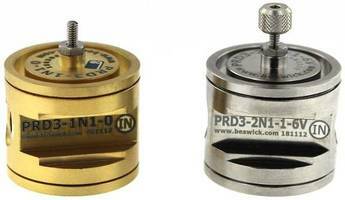 Back Pressure Regulators act as drop-in Mity Mite replacements. 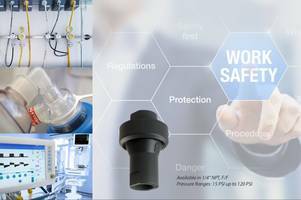 Worker/Monitor Regulators provide optimal pressure control.